Thailand’s military rulers detained former Prime Minister Yingluck Shinawatra on Friday, a senior officer said, after summoning her for talks a day after the army overthrew her caretaker government in a coup. As the army moved to consolidate its grip on the country, its chief, General Prayuth Chan-ocha, set out his plans for the country, saying reforms were needed before an election. But some Thais defied martial law to protest against the takeover. Prayuth launched his coup after rival factions refused to give ground in a struggle for power between the royalist establishment and Yingluck’s populist government that had raised fears of serious violence and damaged the economy. “We have detained Yingluck, her sister and brother-in-law,” a senior military officer told Reuters. The two relatives have held top political posts. “We will do so for not more than week, that would be too long. We just need to organize matters in the country first,” said the officer who declined to be identified. He declined to say where Yingluck was being held, but media said she was at an army base in Saraburi province, north of Bangkok. Soldiers detained politicians from both sides on Thursday after Prayuth announced the military takeover, which drew swift international condemnation. In what appeared to be a coordinated operation to neutralize possible opposition to the coup, the military summoned the ousted Yingluck to a meeting and then banned her and 154 others, including politicians and activists, from leaving Thailand. Yingluck is the sister of Thaksin Shinawatra, a billionaire telecommunications tycoon turned politician who won huge support among the poor but the loathing of the royalist establishment, largely over accusations of corruption and nepotism. He was ousted as premier in a 2006 military coup. Responding to the summons, Yingluck arrived at an army facility at noon along with other politicians. Prayuth was there at the same time but there was no confirmation they met. After Prayuth had left, nine vans with tinted windows were seen leaving but it was not clear if Yingluck was in one of them or where they were going. An aide to a minister in the ousted government who declined to be identified said some people, including his minister, had been detained. A former aide to Yingluck said she had been out of telephone contact for hours. Yingluck was forced to step down as prime minister by a court on May 7 but her caretaker government, buffeted by more than six months of protests against it, had remained nominally in power, even after the army declared martial law on Tuesday. Prayuth also summoned hundreds of civil servants and told them he needed their help. “We must have economic, social and political reforms before elections. If the situation is peaceful, we are ready to return power to the people,” he said. 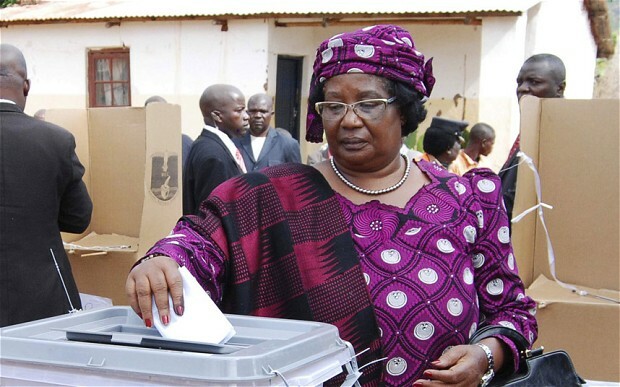 Incumbent Malawian President Joyce Banda votes in her home district of Malemia. Joyce Banda, Malawi’s president, has called for a manual recount of ballot papers in this week’s presidential, parliamentary and local elections, citing “serious irregularities” which may have influenced the result. Mrs. Banda, who took over the presidency in April 2012 after the death in office of Bingu wa Mutharika, said her party had evidence that people were voting “two or three times” in some polling stations where registers were not being checked and candidates were winning in some areas with more votes than the total cast. “I appeal to all Malawians to continue with their commitment to peaceful co-existence and to remain calm until the Malawi Electoral Commission (MEC) determines the outcome of the poll results,” said the president, who won praise and renewed funding from western donors including Britain for her efforts to boost the country’s economy when she took power. Her concerns were rejected by Maxon Mbendera, the country’s electoral commission head, who told AFP that despite problems with the electronic counting system, the present tally was continuing manually. Broadcast media conducting an unofficial tally of results reported that Peter Mutharika, the brother of Mrs. Banda’s predecessor and her closest rival to power, was in the lead. The Dominican senate has unanimously approved a bill which will set up a system to grant citizenship to Dominican-born children of immigrants. The bill had already been approved by the lower house on Friday. It was proposed by the president (of the left-leaning Dominican Liberation Party) after the country’s highest court ruled last year that the children of illegal immigrants were not automatically eligible for Dominican nationality. The ruling drew international criticism and soured relations with Haiti. The two countries share the island of Hispaniola and the overwhelming majority of illegal immigrants to the Dominican Republic come from Haiti. The court’s ruling was decried as “racist” by international rights groups which accused the Dominican Republic of discriminating against Haitian immigrants, who often work in low-paid and low-skilled jobs. Simmering tensions between Haiti and the Dominican Republic were stoked by the court’s decision. The two neighbors withdrew their ambassadors, although there have been high-level meetings between the two governments since. President Danilo Medina had urged lawmakers to pass the bill swiftly to create “a country without exclusion and without discrimination.” The new law will create different categories for people depending on whether they have documents proving they were born in the Dominican Republic. Critics say this still discriminates against those who do not possess such documents, but the government says they will be given the opportunity to apply for naturalization two years after registering in the Dominican Republic. The law will come into force as soon as it is officially published. NOTE: “Answers” emails have ended for the school year and will resume September 2nd. Daily posting will end June 13th for the Summer. b) What is believed to be the military’s reason for summoning ousted Prime Minister Yingluck to a meeting and then banning her and 154 others, including politicians and activists, from leaving Thailand? b) What did President Banda say about the integrity of the election? c) How did Malawi’s Electoral Commission head respond to Mrs. Banda’s allegations? b) What are the pros and cons of this bill? The general who led the military takeover of Thailand is known as an ardent defender of the monarchy, an adversary of the former prime minister at the center of the nation’s political crisis, and a prickly personality prone to snap at unwanted questions. In orchestrating the coup Thursday, Gen. Prayuth Chan-ocha was exercising what is almost a traditional prerogative of Thai army commanders: The country has endured 12 successful coups since becoming a constitutional monarchy in 1932. He spent most of his career in the 21st Infantry Regiment, known as the Queen’s Guard, and has shown particular loyalty to Queen Sirikit, consort of 86-year-old King Bhumibol Adulyadej. He played a key role in the 2006 coup that toppled Prime Minister Thaksin Shinawatra, but became commander in chief of the Royal Thai Army after Thaksin’s sister Yingluck rose to power. A court threw Yingluck out of office this month, and the coup dislodged what was left of her administration. The military on Friday summoned Yingluck and her temporary replacement, Niwattumrong Boonsongpaisan, and has detained Cabinet ministers, as well as protest leaders on both sides of the unrest that has wracked the nation for more than six months. Prayuth said the takeover is intended “to keep peace and order and solve the country’s problems,” though he also has shown disdain for the government he supplanted. Thaksin was toppled by a military coup in 2006 after being accused of abuse of power, corruption and disrespect for King Bhumibol. At the time, Prayuth was deputy commander of the army region covering the capital. It is widely thought the 2006 coup was launched to make sure Thaksin would not have a say in royal succession issues, as the king, now 86, was ailing at the time. Many believe the same issue triggered the latest takeover. 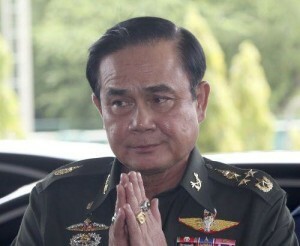 Prayuth was promoted to army chief in October 2010, five months after Thailand saw one of the deadliest political conflict in decades, when troops moved in to disperse an anti-government protest in Bangkok’s central business district. At the time Thaksin’s opponents were in control and his supporters, the so-called Red Shirts, were protesting. Two months of confrontations left at least 91 people dead and more than 1,500 hurt. Prayuth was reported to have taken a hard line in advocating force be used. Seeking to appease the military, Yingluck’s government approved army lists without interference — a sensitive matter that helped derail Thaksin — and gave the green light to its budget requests. Yingluck also downplayed her party’s links to the Red Shirts, weakening the grassroots movement. It is widely believed that other deals were made behind the scenes. 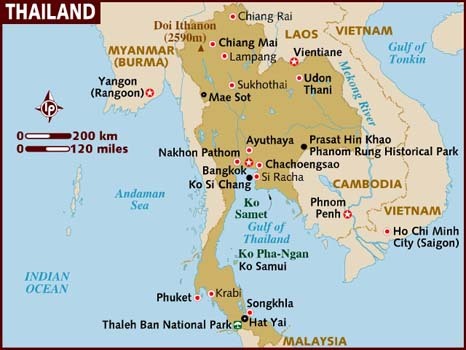 A matter of concern to both sides was the prospect that Thaksin could be allowed to return to Thailand without serving prison time. When Yingluck’s government proposed a law that would have granted Thaksin amnesty late last year, it set in train the events that led to the latest coup. Top figures in the opposition Democrat Party resigned their House seats to lead a protest movement that occupied key areas of Bangkok for months, demanding that the government step down. JOYCE BANDA: When Joyce Banda became president of Malawi in 2012, she endeared herself to her people and to the Western donors who bankroll her government by disposing of a private jet acquired by her predecessor. Asked how she proposed to travel in a continent where leaders treasure the trappings of power, Mrs. Banda replied: “I am already used to hitch-hiking.” Sadly, not everything was as it seemed. In January, The Telegraph exposed how the hitch-hiking president had, in fact, sold the Dassault Falcon to a firm that allowed her to continue using it for free. Worse, this company was linked to Paramount Group, an aerospace and defence enterprise from which her government had bought seven patrol boats. Mrs. Banda was forced to answer for this affair in Malawi’s presidential election yesterday. Her reputation was also damaged by the “cashgate” scandal, whereby civil servants looted government accounts of $32 million. Britain’s Department for International Development, having restored aid to Malawi when Mrs. Banda took office, was then compelled to cut it off again. All the opinion polls suggest that Mrs. Banda’s political future hangs in the balance and she could lose the election to any one of three leading challengers. In 2011, more Haitian immigrants than ever crossed into the Dominican Republic looking for work and refuge since 2010’s devastating earthquake near Port-au-Prince, Haiti. Government officials have estimated that the number of Haitians living in the Dominican Republic increased by 15 percent following the earthquake and they in 2011 accounted for more than a tenth of the nation’s 10 million inhabitants. A comprehensive survey conducted a month after the earthquake found that a little more than 48 percent of Dominicans thought children of Haitians born in the Dominican Republic should be allowed citizenship rights. Only about 42 percent were in favor of the government providing work permits to undocumented Haitians. Those numbers are slightly higher than what was gleaned from similar surveys conducted in 2008 and 2006, but Espinal, who co-authored the most recent report, said the bump was likely due to post-earthquake sympathy expressed by many Dominican citizens.